T.H.U.N.D.E.R. AGENTS doesn’t let up on the throttle for a second as the team’s assault on the Spider compound to rescue a captured teammate continues! Plus, special guest artist ChrisCross (FIRESTORM) illustrates a story spotlighting the backstory of doomed speedster Lightning! Sri Lanka now: Out new agents are on their way to their very first mission. The new Lightning thinks of how he arrived in this position. He remembers life as a child in Kenya and ascending to the world stage as a runner. He remembers how even though he never took drugs a positive test result destroyed his career and left his family homeless and him sued by many in addition to returning his medals. The agency then offered him the ability to run once more and he accepted. In the present they touch down and Lightning is warned that once he starts using his powers he will see things, very disturbing things but he must keep running no matter what. He does the deed and the rest of the agents prepare to move in. Their handlers meanwhile realize that they are walking right into a trap. Art-Courtesy of Cafu, the art hits all the right notes. Lightning–It’s always thrilling when a writer takes something as obvious as country known for its exceptional runners and adds the twist of superpowers. 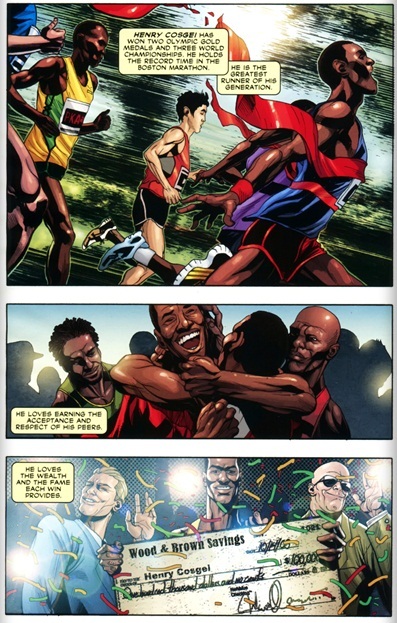 Kenya as well as Jamaica are just begging for someone to use the cliché of a runner from these countries but it takes Nick Spencer to finally make it a reality in 2011. This character’s brief history make him easily the most engaging character in this series thus far. Despite the nature of his powers I would love to see more of him. Espionage– The rabbit hole is opened time to see just how far it goes. 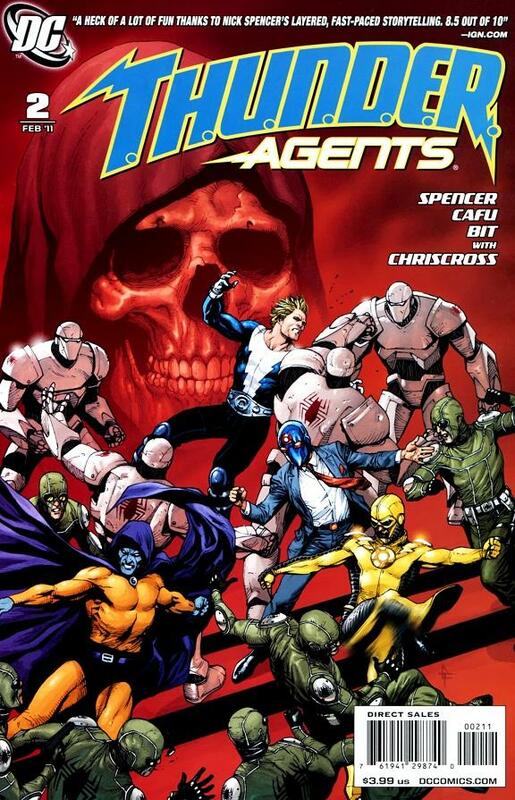 Thrill- The great thing about books like this one is that none of the members are mainstays or very popular allowing the writer to literally write a story in which anything can happen at any given time. 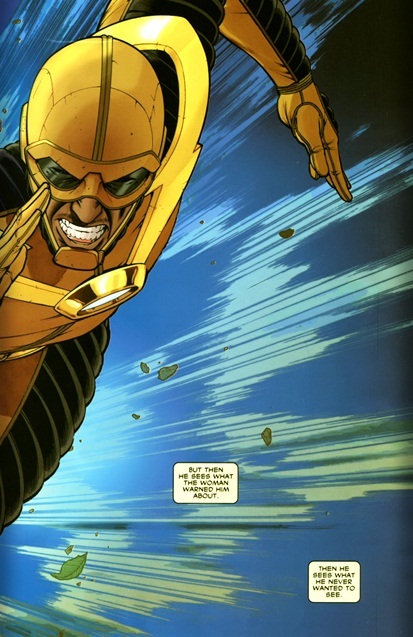 It’s refreshing in light of all the superhero resurrections and deaths that happen in a typical comic.